For site on Portland's Willamette River we assisted the Zidell Family and their Development Team by identifying and soliciting Master Planners, co-drafting RFP, and in Selection / Interview process. We reviewed Parcel sizing and use of Open Space to create "Address Value". While with E&Y, provided strategic advisory services for Pitney Bowes on Stamford's South End. Presentations to Senior Management set portfolio values, analyzed asset enhancing site opportunities, and assisted in re-zoning obsolete manufacturing for outright Venture Fund sale. For Lower Manhattan Redevelopment Corp, Halcyon assembled a team to conceive a River-to-River concept connecting Hudson to the East River, capitalizing on transit facilities, enabling a new Live/Work/Play District. 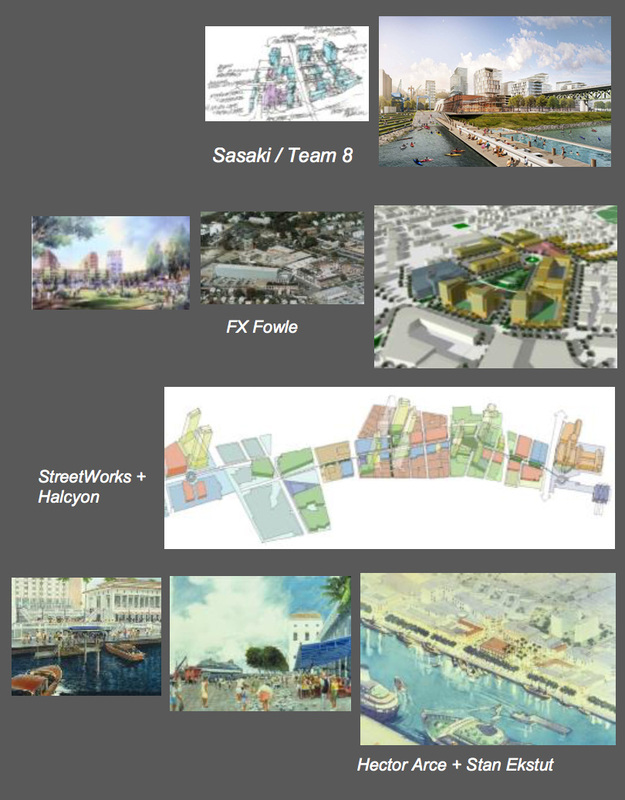 With E&Y, created Planning Team to monetize obsolete wharfs, relocating Homeport Ships cross channel, creating sites for Caribbean Aquarium, Mercado / Artisans Square, Harbor Residential, Convention Center, and Water Taxis to connect Old San Juan with Condado Beach Hotels.